When I think of Barbie dolls, there is one star that comes in mind. The 25-year-old Ashley Benson. She has something amazing, stunningand gorgeous. Blue eyes to die for and a killer smile. The hair, straight or curly and wavy, is always one of her best features. A flawless skin. 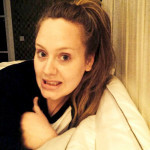 She is great and sweet. I think she could never be the villain or the bad girl in a movie. But I would like to compare the everyday Ashley with that of the red carpet. Well she is sweet, you cannot take that quality away of her,but she is far from the beauty we see in the big screen. 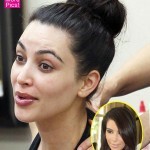 Now we are sure what professional makeup can do and how beauty experts can make almost everyone look stunning. Just by comparing these two photos, we can see that the actress looks a bit tired in the second half of the photo. The skin has also some red areas. Maybe she is allergic or something. I am not saying she has a problematic skin, but comparing to that perfect picture, there is a huge difference. 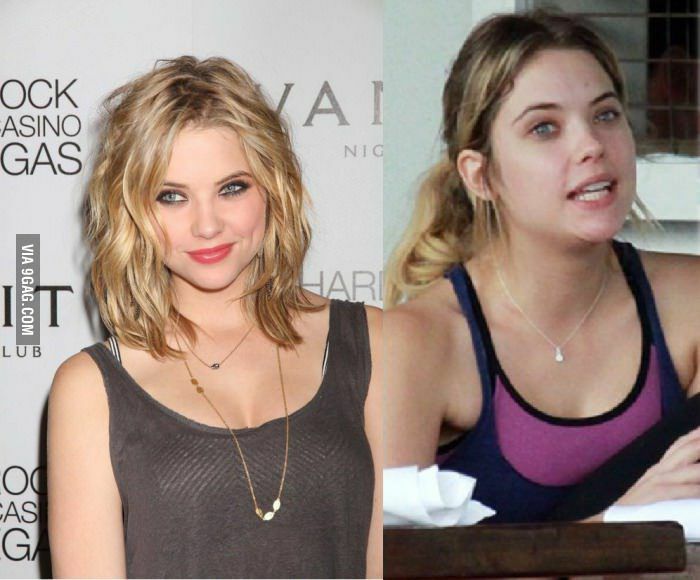 But seeing Ashley Benson without makeup makes us think twice about her beauty. Want to see another one? This should be Ashley straight out of bed. So tired, pale and that hair needs to be taken care of urgently. Looks like the actress was too exhausted to even comb it. In this other picture, she wears a hoodie to cover up the hair, but from what we can see, it is clear that she only takes care of it before shooting or when she has an event or something.